If this is what Fiji tastes like, sign us up. Rum & Cane West Indies Merchants run their entire business off of the social media pages. There are tons of online reviews of their line of regional Rums, but they just don’t talk about themselves that much at all. We know that they are officially based in The City of London — downtown proper — and that they blend great premium Rums that focus on regional flavors and styles. 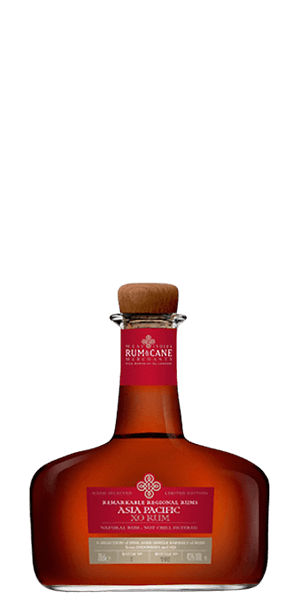 Importantly, all of their Rums are naturally aged, have no additives, and are never chill-filtered. And we think that they’re right. What does Rum & Cane Merchants Asia Pacific XO taste like? The Flavor Spiral™ shows the most common flavors that you'll taste in Rum & Cane Merchants Asia Pacific XO and gives you a chance to have a taste of it before actually tasting it.